Last year we saw the trend of voice-assistant powered home devices getting displays as well, so they can visualize different information, play videos and so on. Well, Facebook decided to join the fun with its own smart displays with a twist. 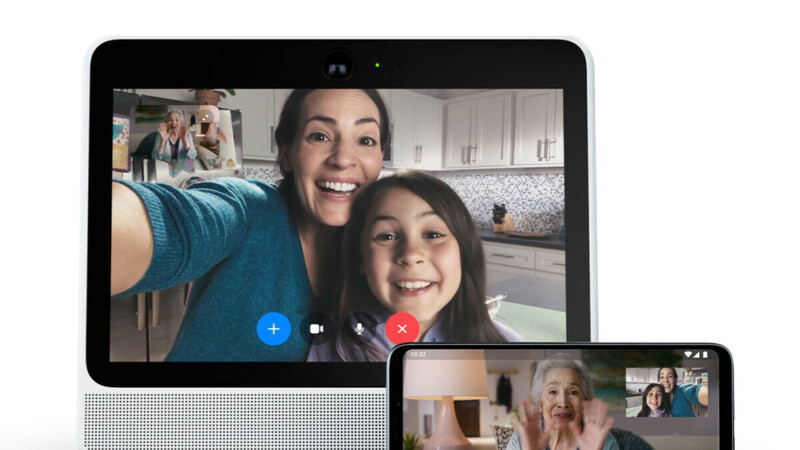 Called Facebook Portal and Portal plus, the devices give you the ability to make video calls using Facebook Messanger, among other standard smart display features. And while there’s nothing innately wrong with having this function, a Facebook-branded listening and watching device wasn’t very warmly accepted for some reason. And when we say “some reason”, we mean it was because of Facebook’s terrible track record when it comes to the way it handles users’ private data. Probably because the Portals weren’t doing as well as Facebook hoped, some employees of the company decided to tell people how great they are… using 5-star Amazon reviews. The employees were caught red-handed by the New York Time columnist Kevin Roose, who posted his discovery on his Twitter page. The guilty persons were on the higher end of Facebook’s hierarchy, which raises the question of how many employees whose names can’t be found on the company’s website may have done the same. One of the reviews begins with “I have historically not been a big Facebook or other social media user…”, which, obviously, is misleading at best. The original tweet received a reply from Andrew Bosworth, one of the executives at Facebook, saying that the company doesn’t want its employees leaving reviews on its own products and they will be asked to remove said reviews. Which might be true, but even if it wasn’t, it’s not like Facebook has a choice but to deny the reviews were ordered by the company. And if you think that maybe the employees received free Facebook Portals and decided to share their experience on Amazon, the online retailer’s rules clearly state that “Creating, modifying, or posting content regarding your (or your relative’s, close friend’s, business associate's, or employer’s) products or services.” is not allowed. At this point, Facebook’s reputation has taken so many hits that something like that would hardly make an impact, it's just another day at the office for the social media giant. Huawei posts fake user reviews as well. Only idiot takes user reviews on those sites seriously.